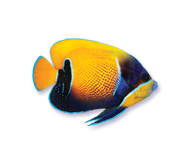 Iodide is naturally present in seawater and usually is supplemented in sea salt mixes but is rapidly depleted in enclosed systems. 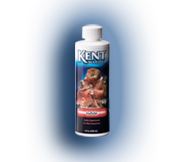 The KENT Marine Iodide products provide this essential element in three different formulations to fit any aquarium application. 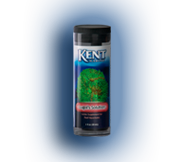 KENT Marine Iodide and Tech I work as useful antioxidants and will not destroy beneficial system bacteria. 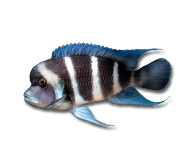 Lugol's Solution can be used as a dip to help rid animals of unwanted parasites and harmful bacteria. 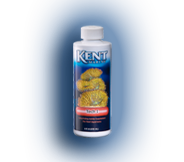 Tech I is chelated to slowly release free iodide, and time released iodide for sustained availability to invertebrates. 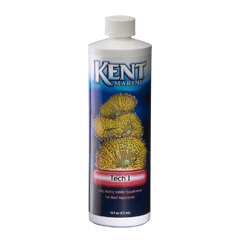 Assists hard corals and helps prevent bleaching of corals due to changes in light intensity.